Most families end up having to sacrifice EVERYTHING to save their teen. Here are some ideas on how you can raise funds to get the help your teen needs. The relatively high short-term cost of Therapeutic Boarding Schools, Residential Treatment Centers, and Wilderness Therapy Programs can often deter families from pursuing the help they know their teen needs. We recognize and empathize with your struggle! We’ve heard many, many stories from families we have assisted who have gone flat broke in an effort to save their teenager. You must ask yourself: to what lengths am I willing to go in order to get the necessary funds? The cost of these programs can range anywhere from $25,000 to $150,000 by the time a teenager completes their program, but many families don’t know where to get financial help. No bones about it, this is going to be a sacrifice, so what are you willing to sacrifice to help your child? We recommend that you first look at the assets you have right in front of you. If you have wealth and you can utilize that wealth to pay for a therapeutic program, begin the process of letting it go now so that it will be easier for you to do so when it comes time. Do you own your home? You may be able to apply for a low-interest equity loan from your bank. Or, you may be able to sell your home outright and downsize. Do you own your car? You may be able to sell one or both of your cars, and buy an older, cheaper car with a low-interest loan. Do you own any jewelry? You may be able to sell your jewelry. Do you have bonds, stocks, an IRA or a 401k you can cash in? Now’s the time to cash them in. Does your child have an Education Funding Plan or College 529 Plan? Some plans allow for funding of a stay in a therapeutic boarding school, residential treatment center, or wilderness therapy program. We talk to so many parents who are great parents but feel lost as to how to help their child. Many families harbor great shame about the fact that their teenager is struggling, and so they are not willing to ask for help from others. This is a humbling experience for many, so we encourage you to embrace this process. It will take much time, effort, and a change of mindset about the hopes and dreams you have for your teenager. Grandparents Many families go to the child’s grandparents for help, and they are often willing to use some of their retirement or their available cash to help pay for a program. Family Members Family members are often more than willing to at least chip in to help pay. Close Friends If you have friends with teenagers, they are often aware of what you’re dealing with and are willing to chip in. If your assets and your family’s help are still not enough, you can then move toward your local community to ask for help. Write a letter of support and ask your friends if they know anyone who might be interested in helping. You will be surprised at the resources you may find in the process. Write a Support Letter Asking for Help Detail who you are, why you are asking for help, and make sure you write how much you are trying to raise. Ask Your Local Community Groups If you are part of any type of community group, ask for help by giving letters to those you are acquainted with. Ask Your Church Home If you are a member of a church, go to your church body and ask for help. Send out letters, or ask your church pastors if they are willing to put you before the congregation to ask for help. Churches also often have support funds for active members. Talk to your lead pastor or families pastor, write a letter to the elder board, or if the church has a formal method for applying for funds, ask the church office how to apply. Start a GoFundMe page GoFundMe is a web site where you can ask people for money in support of a cause. Start a page and ask your friends on Facebook for help. 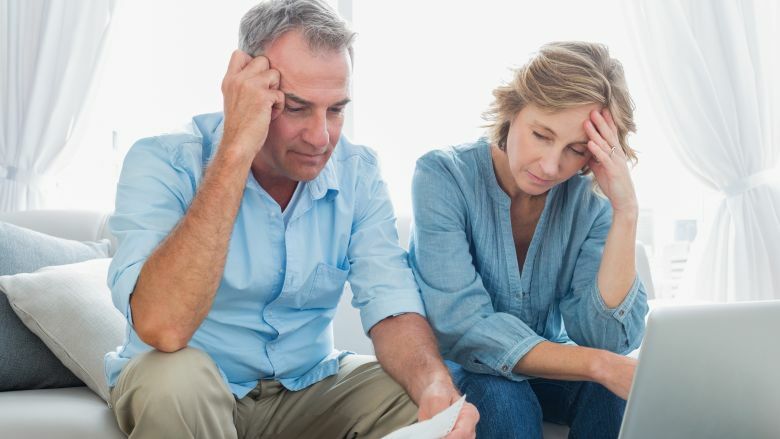 If you have exhausted all of the above options, your last resort may be applying for a behavioral health loan. Lightstream Medical Loans Fixed rate, simple interest fully amortizing installment loans, no fees or prepayment penalties. Prosper Lending Lends up to $35,000 for Health/Medical/Treatment at customized lending rates based on credit history, credit worthiness, and amount requested. M-Lend Financial Options include interest free credit cards (at no additional costs) and low interest installment loans for various credit ratings up to 84 month terms and $100,000. ﻿Particularly for addiction treatment. With no interest charges for an extended period of time, this can be a welcome bridge to financing. Cross Bank Medical Financing Loan amounts range from $1,000 to $35,000. No loans are offered in Connecticut, New York, West Virginia and Vermont. An origination fee of 8% is included in the principal loan amount. The Annual Percentage Rate (APR) is the cost of credit as a yearly rate. The APR offered to you will depend on such factors as your credit score, application information, loan amount, loan term, and credit history. If your insurance covers mental and behavioral health, some programs can bill insurance for Out of Network Benefits, which will cover the cost of therapy only. We encourage you to look at our article titled, "Can My Health Insurance Policy Help Me Pay for Residential or Therapeutic Boarding School?". We may be able to help you find a program that can help you get reimbursed, but programs often require the full cost of the program up front, and even then there is no guarantee that you will be reimbursed. Most programs that do take insurance, however, can run a Verification of Benefits and tell you up front the cost range you will be responsible for. If your child has an IEP States are required by law to provide funding if a case can be made that the school setting will not be enough to meet their IEP. See wrightslaw.com for more information. The Adoptive Families Coalition welcomes and helps families with post-adoption challenges. They offer a unique plan to assist in meeting the high cost of therapeutic boarding schools, residential treatment centers, and wilderness therapy programs. You can find the sponsorship application page at http://adoptive.org/sponsorship/ or Call (602)-740-7149 or (602)-390-0220. Was Your Child a Victim of a Crime? If your child is struggling due to the fact that they were a victim of a crime, there are funds available to help you pay for therapeutic boarding schools and residential treatment in every state. In some cases, the entire tuition or a majority of the cost can be covered. You must apply for assistance in the state in which the crime was committed. We should note that the crime must be merely reported and have a case number, it does not need to have gone to trial or resulted in a conviction in order to be eligible for funding. The National Association of Crime Victim Compensation Boards has a list of all of the state crime victim compensation web sites where you can begin to apply for funding for a therapeutic boarding school, residential treatment center, or a wilderness therapy program. We hope you found this information useful. With all of these options in your arsenal, we can help you find an appropriate program that you can afford. Please do not hesitate to contact us. Our services are provided to you at no charge and absolutely zero obligation. We provide you with the information you need to make well-informed decisions, and after that it’s up to you to make it happen. DISCLAIMER The Envoy Group makes no claims to the accuracy of this content and makes no warranties or guarantees that the information will result in funding or even potential funding. This information is not intended as financial advice, and The Envoy Group is not responsible for the financial choices you make based upon this information. We highly recommend that you consult with a registered financial advisor. Also, please take into consideration the entire breadth of your family’s financial obligations before selling any of your assets or entering into any kind of loan agreement, whether it be a personal or institutional loan.